Here are some special Holiday items that we have available now in our store. Shop now and get a "leg up" on your Holiday shopping! 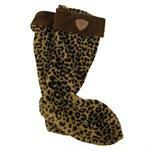 Fun cozy liners for any tall Wellington boot. 12 Stunning images of life in Vermont Horse Country. December is on our own High Brook Morgan Horse farm! Make it your own! Loads of colors to choose from. Make it your own! A great gift for the holidays! 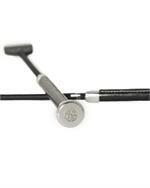 Whip with Custom Engraved End Cap - 39"-47"
Custom engraved for you. A great gift for the holidays. 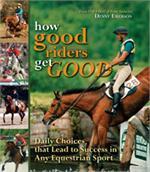 A must read for any equestrian. By local riding legend Denny Emerson. 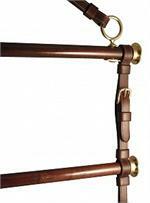 This is a beautiful blanket bar which would make a gorgeous addition to any stable. Wooden horse carrier complete with flocked horses! 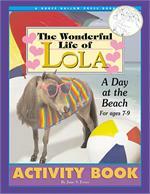 All kinds of puzzles and games featuring the Miniature Horse Lola. A great stocking stuffer! 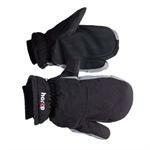 FREE SHIPPING WITH YOUR ORDER OF $50 or MORE! Hours of fun with this wonderful travelling stable complete with horses. 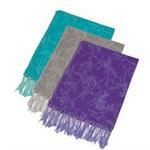 This soft and warm scarf makes a great gift. 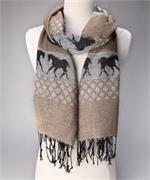 Stay warm and stylish this winter. 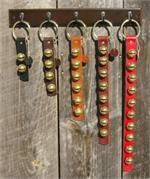 Beautiful solid brass door bells. Simply beautiful solid brass bells. 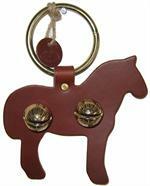 Real sleigh bells on a 3 ft strap. 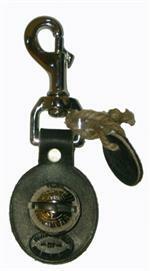 A great sounding solid brass "bear bell". 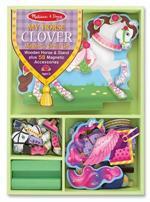 Shires Boot Shine Kit - Everything you need! An all-in-one boot kit in a lovely leather case. 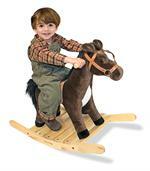 A soft, well-made rocking horse that will stand the test of time. It makes galloping sounds when you press the ear! What a horse van! Lots of bells and whistles. Dolls, horses and some accessories not included. Wake it your own! A great gift for the Holidays. 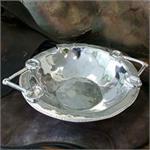 This gorgeous bowl makes a great wedding or holiday gift. Classy truck with working hood, tailgate and doors. We wish we had this in a life size! Have hours of fun with this portable castle. Have great fun with this classic toy. It even makes horse sounds when you press the ear! Have fun with this extra large floor puzzle. 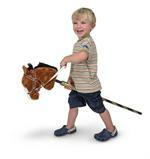 What a great set for the horse crazy child in your life. Riding a beautiful pinto horse!